Bubble & Squeak laundromat is a full service coin laundromat that can also pick up, wash, fold, and deliver your laundry right to your residence or business in 24 hours. 3. Bubble & Squeak drops your laundry off right to your residence or business in 24 hours! 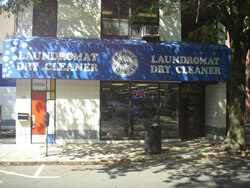 Sign Up or Visit our Laundromat today! 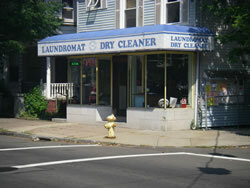 The Bubble & Squeak Laundromat was established in the early 60's; making it one of the longest operating Laundromat in town. The present owners have been in the laundry business since 1982 and have vast experience and knowledge concerning all the services they offer. Our knowledgeable and experienced staff members are always on duty to help you with any questions you might have concerning machine usage and Laundromat services. Join Us on Facebook. Share your comments, see what others say...and receive Special Offers. We just love our Fans!! © 2014 bubble-n-squeak.com. All rights reserved. Designed and Hosted by Directory Networks.